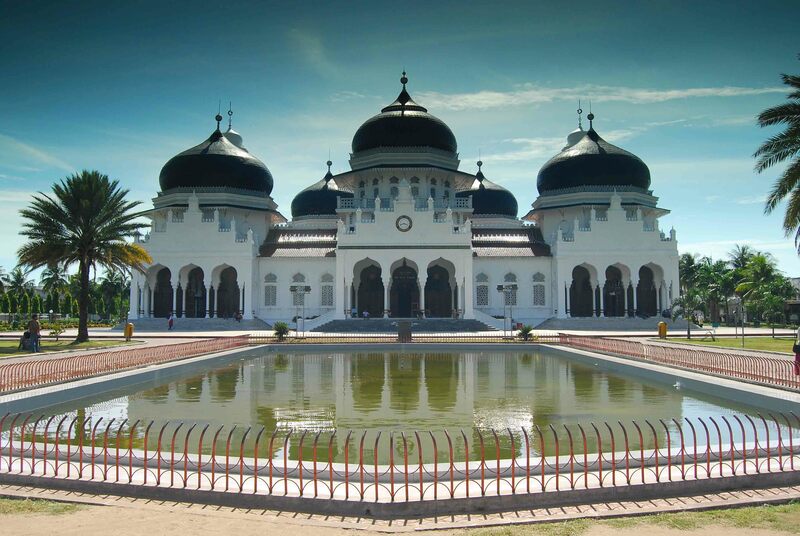 Banda Aceh's Grand Mosque was one of the only structures to survive the 2004 Boxing Day Tsunami that devastated the city and the region. The mosque, which is also known as Masjid Raya Baiturrahman, was built in 1875 by the Dutch Military Government to replace an older mosque that had been destroyed by fire. 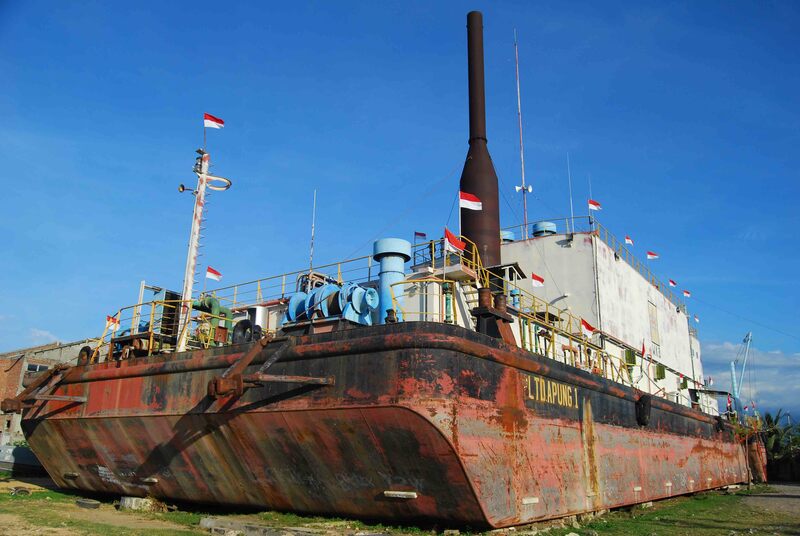 The PLTD Apung 1, a 2500-tonne power generating ship, was swept 4km inland by the massive tsunami. It still rests there today and is one of the destinations on Aceh's tsunimi tourism route. 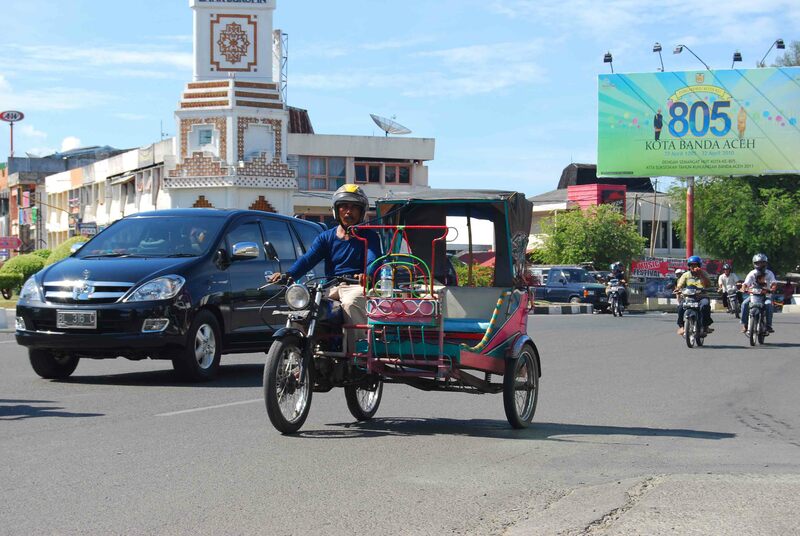 Instead of the bajaj of Jakarta, the preferred three-wheeled mode of transport in Aceh is the motorized becak - a motor scooter with a small, permanently-attached passenger carriage. The crews of Aceh's many fishing boats rest in the shade during the afternoon heat. 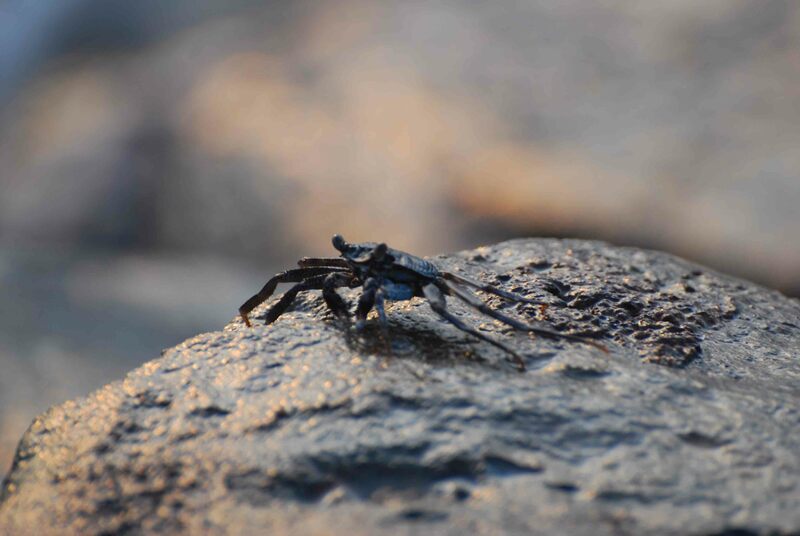 A crab climbs on the rocks at Ulee Lheue (sometimes called tsunami ground zero). It was here, at the northernmost point of the Island of Sumatra, that the powerful waves first struck land.